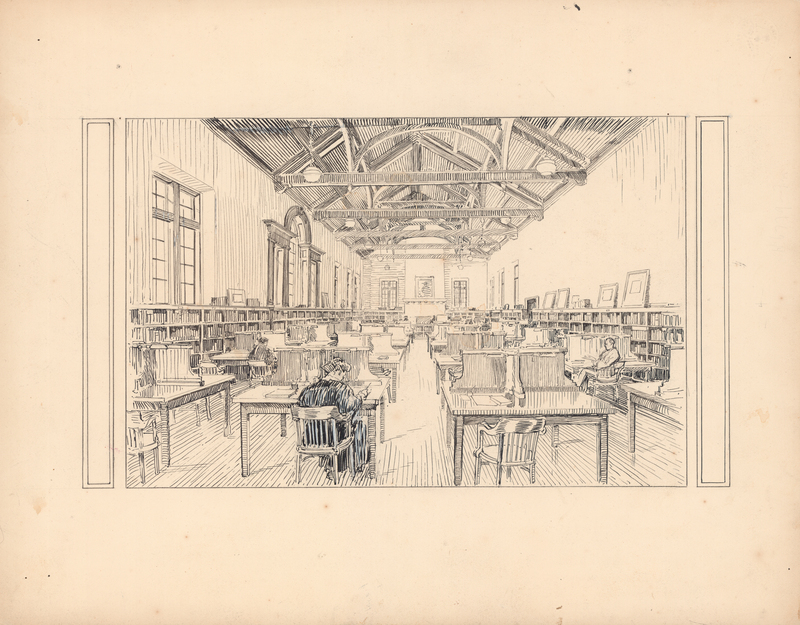 Part is an original Arthur Lismer illustration of the main reading room of Dalhousie's Macdonald Memorial Library rendered in pen and ink on illustration board with the Strathmore drawing board platemark in the top right corner. The drawing was commissioned for One hundred years of Dalhousie, 1818–1918 (1920). 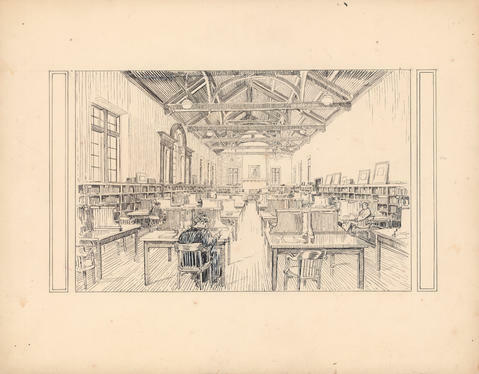 On the reverse is an unfinished sketch of the reading room. Part has minor stains and foxing, with tack holes in its corners.